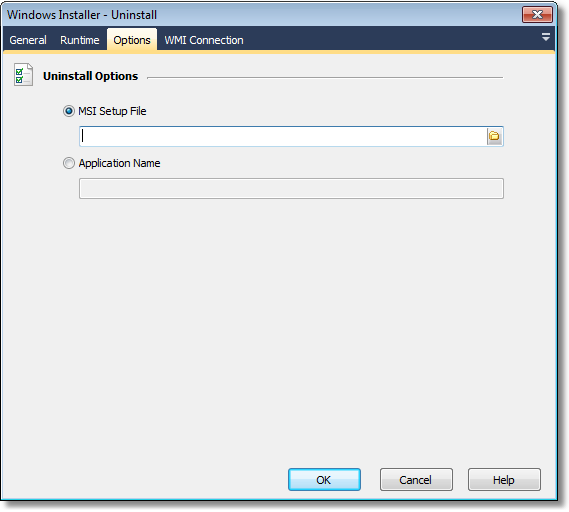 The Windows Installer - Uninstall action allows a application installed by a windows installer package to be uninstalled. The setup file used to install the application. The setup file does not need to be accessible by the computer which the application is being uninstalled on, as it is only used to get the products identification number. The name of the application to uninstall. If more then one application is found with the same name, only one of the applications will be uninstalled.